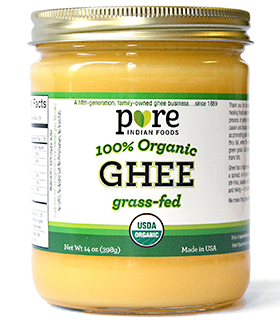 The most versatile fat there is, ghee (clarified butter) goes well with everything and is suitable for cooking at high temps. Plus it’s one of the healthiest fats from its fatty acid composition and nutrients including Butyrate. Great for cooking or baking anything that goes with coconut flavor, great at higher heats, and has healthy fats including MCTs. I sometimes add it to my coffee and use it for oil pulling. Quick and easy way to coat a pan or baking dish with coconut oil. A versatile and healthy oil with subtle flavor and a 480°F smoke point. I use it for cooking and to add extra fat to a meal. I don’t recommend cooking with olive oil, instead add it to your meals after cooking or reheating for extra flavor and calories. Easier to digest than MCTs in oil form and makes hot drinks like coffee, mate, and licorice root tea creamy. Also great for adding fats to baked goods. 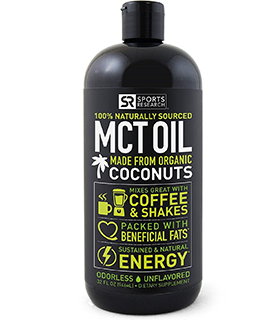 Cheaper than MCT oil powder, same applications just less medium chain triglycerides. I like to add a squirt to my coffee and meals for an extra ketone boost. It has almost no flavor but it enhances the flavor and texture of most meals.